Adam Zivo is a Toronto-based content producer, with a speciality in photography and video production. 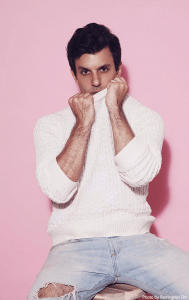 With clients including America’s Next Top Model, Intercontinental Hotel Group, Bell Media, Flixel, and Cutler and Gross, Adam has produced content all over the globe. In 2016, during the aftermath of the Orlando Pulse shootings, Adam saw an opportunity to rally support for the LGBTQ community, turning tragedy into an opportunity for catharsis. We spoke to him about his LoveIsLoveIsLove project, how it all began, and what’s in store for its future. 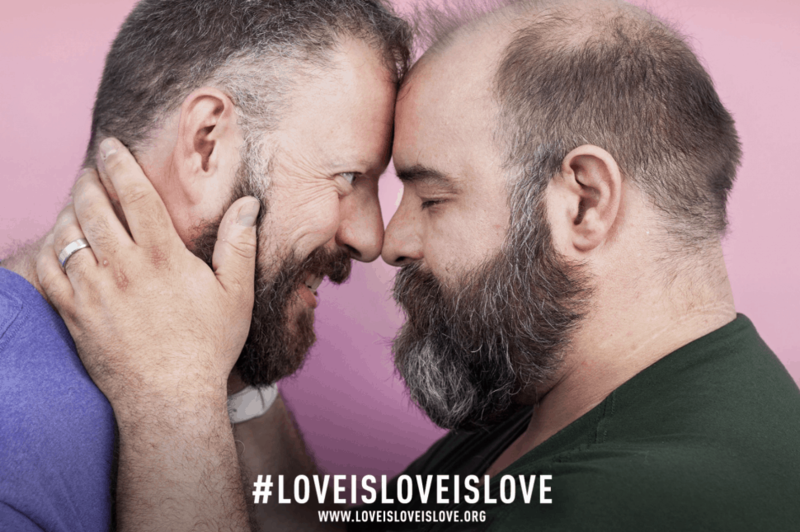 LoveIsLoveIsLove is a multifaceted arts campaign, whose mandate is to support the LGBT community by producing and publishing empathetic content featuring the community. It runs a constellation of initiatives that are tied together through a signature aesthetic, which is typically two people being sentimental in front of a pink backdrop. How did the concept for the project come to fruition? The project was launched in 2016 in response to the Orlando Pulse shootings. At the time I was contracted to do a photo booth for a festival. I started to notice in response to the tragedy people on social media began to post photos of themselves with their friends or partners as a symbolic act of resistance against perceived trauma. The idea was if this is cathartic for people how do we amplify it? And furthermore, how do we use this opportunity to make it more evocative? The entire thing was planned and executed in 9 days. We reached about 30 thousand people the first year at our activations during Toronto and Ottawa Pride. What is the goal/mandate of the project? The project’s mandate is two-fold, the first is to celebrate and validate LGBT relationships by filling in a hole of representation. When we look at the way our community is represented it tends to be either through the lens of hypersexuality or sterility. Neither of these is inherently bad but when they monopolize the spectrum of our interpersonal relationships, then it becomes problematic. The second mandate is to engage people who are moderately homophobic and in doing so utilising this content to broaden the basis of support for LGBTQ rights. The idea is, the content is designed to be inoffensive. We want the content to be consumed by people who have negative connotations of who we are and have them re-evaluate these ideas and help them start their path to becoming allies. It is an unaggressive, constructive approach to activism. What kind of support has the project seen? The response to the project has been extremely positive. In its second year based on the success of the previous year, we ended up doing some political outreach. After that people started to see that politicians were willing to put their name on it. We managed to reach about 40 per cent of Toronto City Council, Mayor John Tory, Premier Kathleen Wynne, and half of her cabinet. In addition, we ended up garnering the support of Ottawa Mayor Jim Watson and other Ottawa politicians with the help of city councillor Kristyn Wong-Tam. How did the project become such a success in reaching a wide audience? The project had a contest element to it as a way to fulfil our mandate of disseminating queer culture and queer images. This essentially caused our engagement to explode and we saw our numbers go from 30 thousand in the first year to over 300 thousand the second year. What kind of other initiatives is loveisloveislove involved in? We use our massive archive of content to produce public art installations. These installations help feel LGBTQ+ people feel represented, recognized, and validated. As part of the public realm, these installations also engage with a wide cross-section of society. This allows us to engage with people who may not understand or be comfortable with LGBTQ+ issues. We use these installations to help these people reevaluate their assumptions about the community, and aim to help them start their journey towards becoming allies of LGBTQ+ rights. This past June we installed a series of twelve banners, each at 6 feet by 15 feet, in the rotunda of Toronto City Hall. Totalling 1,000 square feet of content, this installation was one of the largest of its kind ever produced in this space. In addition, in collaboration with our community partner Scarborough Arts, we produced a “Scarborough” sign, modelled after the popular downtown “Toronto” sign, which they then clad in LoveisLoveisLove content. The sign was launched at the University of Toronto Scarborough Campus, and will tour various Scarberian neighbourhoods throughout the summer of 2018 as part of the Cultural Hotspot Festival. In doing so, it will bring visibility to LGBTQ+ people in suburban neighbourhoods. 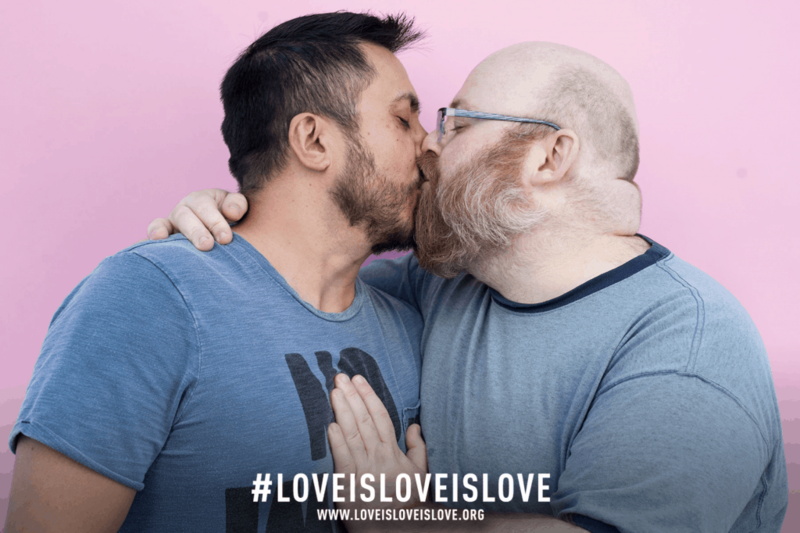 What is the future of Loveisloveislove going forward? We have a STEM scholarship that we are in the midst of putting together. We originally reached out to Peace Collective about being a pride sponsor for Pride Toronto, and they wanted to scale up the partnership. They have a pride collection, and they wanted to give 15 per cent of the profits to my organization. The idea here was what can we do with this that gives it a distinct narrative? I’ve always wanted to do a scholarship fund because for me it’s important that this project concretely supports the community. The question was there are so many scholarship funds in Toronto, how do we distinguish this from the rest? I genuinely feel that LGBTQ people in STEM fields are under-supported. He is a photography aficionado, theatre school alumni, fashion enthusiast, avid Ariana Grande fan and lover of all things aesthetically pleasing.